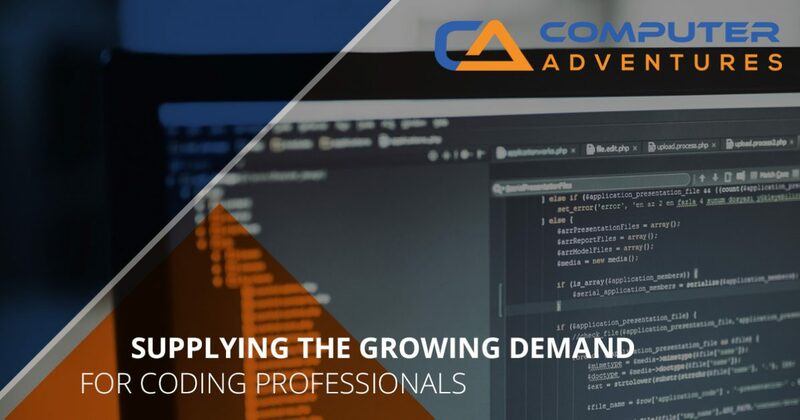 As The Digital Age is upon us, there continues to be a growing demand for professionals that possess experience in coding, and for good reason. In fact, according to recent data gathered by Burning Glass Technologies, there were as many as “seven million job openings in 2015 that were in occupations which valued coding skills.” This shocking statistic sheds light on the incredible demand for those that are experienced coders, and in today’s article, we will be discussing some of the benefits of entering a career that is centered around coding. If you are a resident of Westchester, Mount Kisco, or the surrounding areas of New York, and your child is interested in learning more about animation, programming, game design, robotics, or any other aspect of technology education, contact our team of friendly professionals today at Computer Adventures. With a variety of enrichment classes, as well as annual summer camps, we make it easy for your child to find the classes that interest them most. To learn about the benefits of learning how to code, continue reading more below. According to the Bureau of Labor Statistics, the demand for software developers will experience a 24 percent increase from 2016 to 2026. This is exponentially faster than any other career on the job market, and is faster than the growth of the job market itself. This means that there will be plenty of opportunities for those who have learned how to code to find a career where they can apply their knowledge of coding to their everyday work. One of the most interesting aspects of coding is the fact that those learning how to code will not be required to stay within any one industry. Coding jobs are available in a variety of different industries including engineering, IT, data analysis, design, and much more. This is why learning how to code is the perfect avenue for those who want to remain a versatile asset to the job market’s workforce. These are just a few of the many reasons why coding is becoming such a highly lucrative skill for both employers and employees. It’s flexibility, job security, and income stability can benefit those who are looking to turn their passion into a career. If you are interested in learning more about some of our technology education courses such as electronics, digital graphics, or our popular enrichment classes, don’t hesitate to reach out to our staff of friendly professionals today at Computer Adventures. We look forward to speaking with you!